Episode 35: MeWe,Skills, and More | They Might Be Gazebos! So I’ve decided to do only one episode a week. Better energy and just better time management (IHMO) with normal life. But that’s not what you want to read about. What’s up in this episode? Reading from the Little Brown Books. 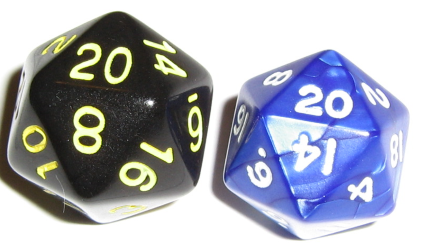 See in comparision to the d20 from the 5E Starter Set. You know the drill subscribe to the podcast….